Hide this Project (Newry Park Towers) Discover properties in other projects by hiding the ones that doesn't interest you. You won't see them in your searches further but you can unhide anytime later. Hide this Dealer (Raja) Discover properties by other dealers by hiding those whom you have already spoken to. You won't see them in your searches further but you can unhide anytime later. Newry Park Towers in Anna Nagar West, Chennai North by Newry Builders is a residential project. The size of the Apartment ranges in between 1235.0 sq.ft. and 3750.0 sq.ft. Price starting from Rs. 1.80 Cr. Newry Park Towers offers facilities such as Gymnasium and Lift. It also has amenities like Badminton court, Basketball court and Lawn tennis court. Bank loan approved from HDFC home loans, ICICI, UCO Bank, State Bank of India, Standard Chartered Bank Limited, Corporation Bank, Citi Bank, Bank Of Baroda, Kotak Mahindra Bank, AXIS Bank LTD., LIC Housing Finance Ltd., Tata Capital and Indiabulls. 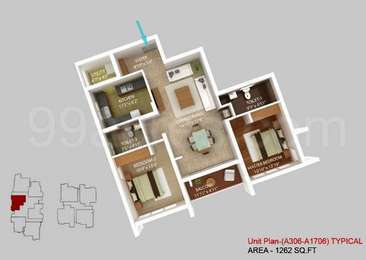 It is a ready to move project with possession offered in Nov, 2015. The project is spread over a total area of 1.48 acres of land. Newry Park Towers has a total of 2 towers. The construction is of 19 floors. An accommodation of 162 units has been provided. Newry Park Towers brochure is also available for easy reference. In which area is Newry Park Towers located?The project is situated in Anna Nagar West, Chennai North. What size of flats are available in Newry Park Towers? The apartment sizes in the project vary from 1235.0 sqft to 3750.0 sqft. What is the 2 bedroom size in Newry Park Towers? 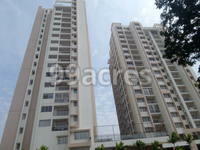 2 BHK units in the project are available in a size of 1235.0 sqft to 1270.0 sqft. What is the 3 bedroom size in Newry Park Towers? The area of 3BHK units in the project varies from 1643.0 sqft to 3750.0 sqft. 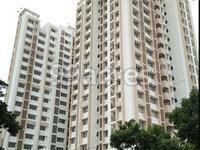 What is the area of 4 bhk in Newry Park Towers? The size of 4BHK units in the project ranges from 2284.0 sqft to 2691.0 sqft. How much is the actual area of Newry Park Towers?The area of the project is 1.48 Acres. d homes for sale are located in Kilpauk, Pallikaranai, Anna Nagar, Thiruvanmiyur and Vengaivasal. Newry Properties Private Limited has also developed the first multistoried IT park in Chennai, business complexes and corporate offices in the commercial segment. Besides innovative constructions, taking up the corporate social responsibility, the group runs educational centers.